I made a short Trailer to promote the film and the anti-bullying educational resource pack that we've just finished. Looking back, it's amazing to see how far the young people have travelled since this last year. We're pleased with the completed and have so far had a fantastic response from teachers. 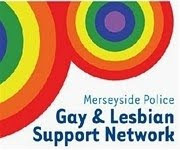 We are planning to officially launch the pack at the NUT conference in Liverpool in April.